Odyne system’s hybrid driving mode utilizes launch assist that allows the electric motor to work in parallel with the engine to provide up to 50 hp for improved acceleration. 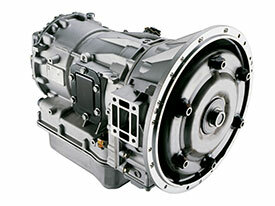 Using the electric motor during acceleration can reduce the need for engine power, saving fuel. Odyne’s system provides launch assist from a 69hp (51kW) Remy HVH250 electric motor for improved fuel economy while driving. The variable launch assist is factory set depending on the application and can be changed in the future to further optimize performance. The launch assist/regenerative braking is disabled when ABS is active or manually via a dashboard mounted switch. 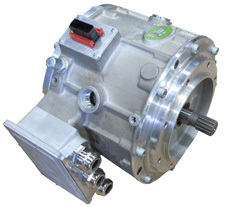 The Odyne system is the only product with hybrid functionality (launch assist and regenerative braking) on a medium or heavy duty truck with the most popular automatic transmissions.